And as the best kind of details are visual, enjoy the gorgeous photos of some select items int he collection, courtesy of AP Photo/Richard Drew. To view the entire album at CBS News’ site, click here. Hello lovely Raymond Lee fans and readers. 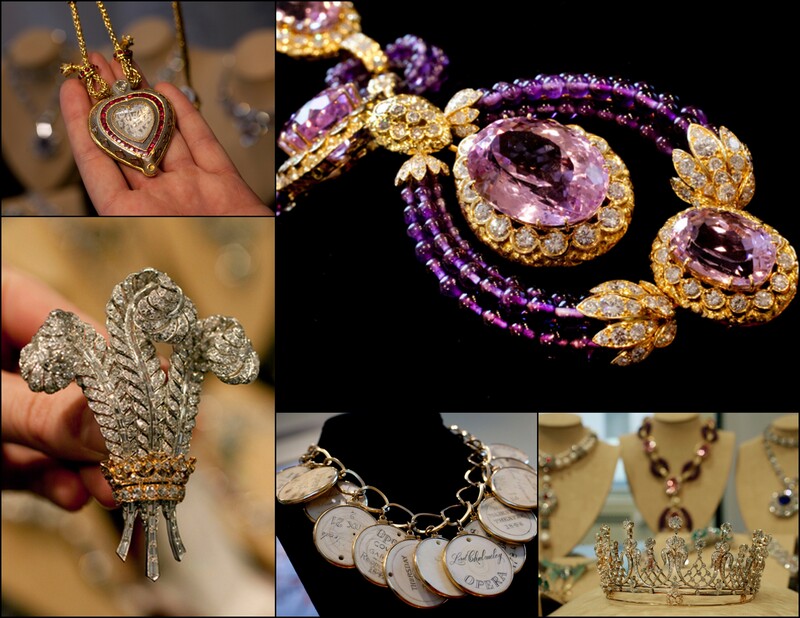 Today’s buzz is all about the newly released details of Christie’s auction of Elizabeth Taylor’s jewelry collection. Not too long ago, we paid homage to some of Liz’s most famous baubles and showcased what would be in our fantasy Elizabeth Taylor Jewelry Auction. Now that Christie’s has announced what jewels will actually be up on the block, we thought we’d share the dazzling results of our predictions. Read on for the inside scoop, courtesy of National Jeweler. The Taj Mahal diamond is up for grabs, and is expected to fetch between $300,000 and $500,000 on its December 13th Christie’s debut. This Van Cleef & Arpels 8 carat ruby and diamond stunner was Richard Burton’s Christmas gift to Liz in 1968. The ring is estimated to realize $1 million – $1.5 million at the first of two days of Christie’s auctions, Dec. 13. These rings are Burtona nd Taylor’s wedding bands (from at least one of their fabled marriages). They are estimated to go for between $6,000 and $8,000 at their December 14th auction. Finally, the star of the show is the Krupp/Elizabeth Taylor diamond. This 33-carat, D color, VS1 clarity, potentially internally flawless stone, was a gift to the actress from Burton “and is the perceived top lot of the auction, estimated to realize $2.5 million – $3.5 million at auction Dec. 13,” according to National Jeweler. Liz for Raymond Lee Jewelers, your trusted source for industry news and estate jewelry. In a few short weeks, fans admirers and mourners of the late, fabulous Elizabeth Taylor will be able to view her treasured collection of the items she held dearest – her jewelry. 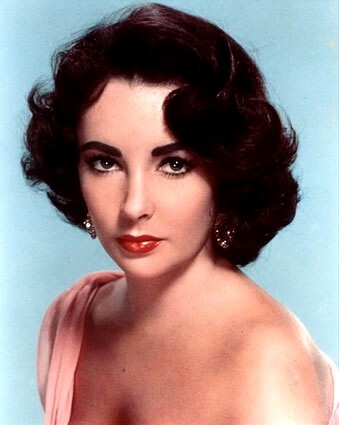 Elizabeth Taylor was an icon renowned as much for her beauty and acting as she was for her affinity for luxury. Taylor exuded an air of effortless glamour, helped along by the carats upon carats of precious jewelry that she often wore. 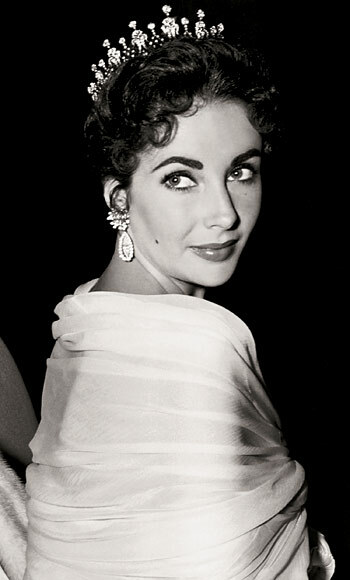 Beginning September 15th, Christies will showcase Liz’s famed jewels on a world tour. Exhibits will begin in Moscow’s Red Square before the tour continues to London, L.A., Dubai, Geneva, Paris and Hong Kong before finally stopping in New York. There, from December 3rd through the 12th, Christie’s will present the collection before its 5 part auction of Elizabeth Taylor’s estate. What will be included in this auction? One can only speculate at this point – which we did, naturally. Here are the gems that we think will absolutely be up on the auction block. 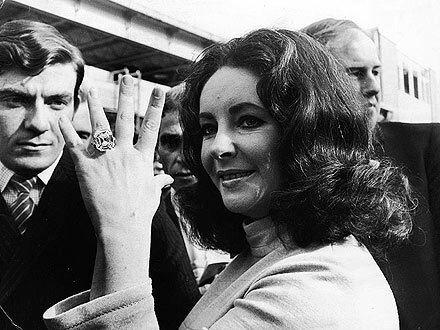 The first item of jewelry that Richard Burton gave her, this Asscher-cut diamond became a daily adornment for Taylor, at a more demure 33.19 carats. Once owned by Anne Boleyn and Queen Mary Tudor, Taylor prized this pear-shaped pearl. Once owned by the Queen of Spain, it was nearly swallowed by one of Talyor’s dogs. Given to Taylor by husband #3, Mike Todd, the necklace, bracelet, and earrings feature oval and cushion-cut rubies and baguette-cut diamonds set in platinum. Originally given to Shah Jahan by his father, the diamond was the presented to his wife Queen Mumtaz – the very same Queen Mumtaz that the Taj Mahal was built for. Burton bought this heart-shaped, yellow stunner for Liz’s 40th birthday. She promptly removed the silk cord it hung from and commissioned a diamond-studded chain. The 69.42-carat Cartier diamond gifted to Talyor by 5th husband Richard Burton. Sadly, this – the most famous of Liz’s baubles – won’t be for sale at the auction, as it was last bought by Robert Mouawad. Partial proceeds from the auction will benefit the Elizabeth Taylor Aids Foundation, created in 1993 to provide critically needed support services for people with HIV/AIDS. Elizabeth Rosemond “Liz” Taylor will be fondly remembered by her children, close friends (Elton John was among the most publically distraught over the loss of his great friend.) and in the hearts of fans world-wide for her extraordinary grace and generosity, humanitarian work and AIDS activism. With bright violet eyes and an on-screen presence that captured the hearts of film audiences, critics and eventually, eight different husbands, Liz Taylor embodied the strength, beauty and selflessness of a true icon. 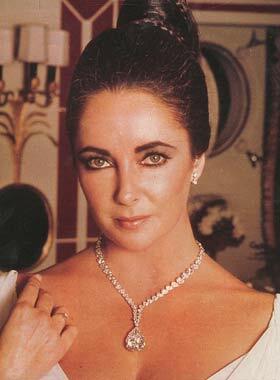 We will celebrate the gift of Elizabeth Taylor‘s life in a glamorous remembrance. While the sensational actress was expressively fond of extraordinary jewelry, diamonds and sapphires, she somehow managed to escape such claims of materialism or superficiality. As far as Hollywood is concerned, this may be the last time such a success is made. Perhaps it was her qualities of ultimate grace and sincerity that she was not made to endure the media ridicule we see today among celebrities sporting elaborate jewels. Behind her famously worn 33.19 carat Krupp Diamond ring and the 69.42 carat Taylor-Burton Diamond, cut by Harry Winston and adorned in a diamond-dripped Cartier necklace, lies one of the greatest love stories of the 20th century. There was a genuine once-in-a-lifetime love between Burton and Taylor. Their 20-years and two marriages together were full of great challenges, turbulence, passion, jealousy and infatuation. Last year Elizabeth Taylor spoke of her relationship with Richard Burton in an interview with Vanity Fair. Among revealing a selection of love letters she’d received from him through the years, Miss Taylor offered a glimpse into their love affair, “Richard was magnificent in every sense of the word. From those first moments in Rome [on the set of Cleopatra] we were always madly and powerfully in love.” She continued to wear the Krupp diamond ring he had given her in 1968, sporting the spectacular stone in her 2003 interview with Larry King. 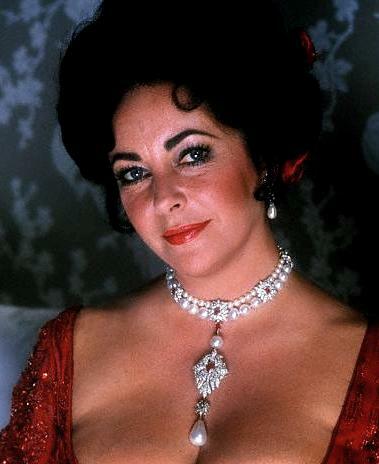 In honorable memory, dedicate an hour or two to celebrate the iconic beauty of Miss Elizabeth Taylor. 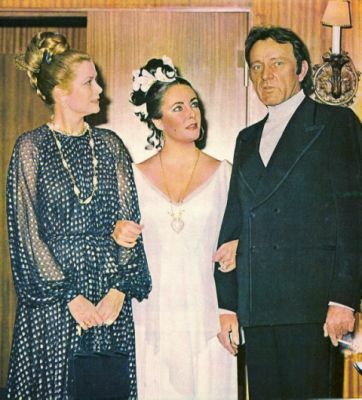 Her violet eyes are accented with Bvlgari jewelry in the 1973 film, “Ash Wednesday,” where you can catch a glimpse of her 50 carat sapphire ‘sautoir’ (necklace and pendant) and the sugarloaf sapphire ring by one of her favorite jewelry designers. Taylor wears a pair of classic natural pearl earrings in the film, also by Bvlgari. 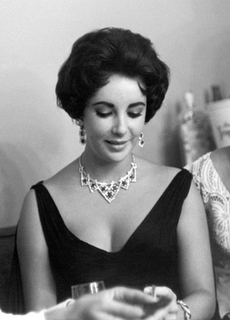 Elizabeth Taylor was also a fan of William Goldberg jewelry, discreetly known for the world’s most breathtaking diamonds. Never quitting, Velvet decides to ride, disguised as a young man. I won’t give away the ending… Elizabeth Taylor is endearing as the dreamy-eyed, innocent, yet determined Velvet Brown. Riding as a girl, she also does many of her own riding scenes. It’s a great movie, a great family movie, and definitely a great choice for animal people and especially “horse people.” Velvet also displays the big dreams that are often associated childhood, but combines them with hard work and undying determination, and Elizabeth Taylor gives Velvet a great human appeal. Long Live Elizabeth Taylor… A Legacy of Grace, Gratitude and Glamour. In the past we have blogged about the Cartier Love bracelet and its many different sizes. The Cartier Love bracelet was introduced 1969 and quickly became one of Cartier’s most popular pieces. Designed by Aldo Cipullo who was inspired by the old medieval chastity belt and felt the Love bracelet would signify a committed relationship between two people. Cartier furthered Aldo’s interpretation by limiting the sale of the Love bracelet to the general public, they instead presented his or her bracelets to 25 famous couples at that time: Elizabeth Taylor and Richard Burton, Cary Grant and Dyan Cannon, Ali McGraw and Steve McQueen, Sophia Loren and Carlo Ponti, the Duke and Duchess of Windsor etc. The Cartier Love bracelet differs from traditional bracelets, which are clasped to the wrist or slipped over the hand onto the wrist, the Love bracelet can only be opened using a special screwdriver. This is where one can see the connection between the medieval chastity belt and the modern Love bracelet, the belt could only be opened with a special key and the bracelet can only be opened with a special screwdriver. The Cartier screwdriver comes with every Love bracelet and can be formed into a necklace, one person has the locked bracelet around their wrist while their partner has the key around their neck. Here at Raymond Lee Jewelers we have many beautiful Cartier Love bracelets for sale. Click on the picture above to see one of the exquisite Love bracelets we have for sale and other Florida Jewelry.